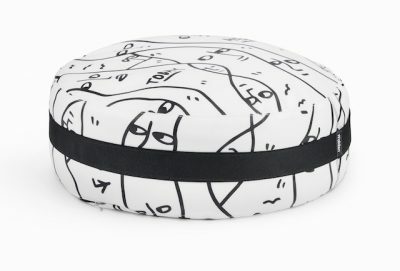 The sturdy Walden Cushion Mediation Pillow can be your peaceful, go-space at home when you need to chill, meditate, gather new perspectives, and realign. It’s great for at-home yoga workouts and simply finding a soft way to blissfully ground yourself. With the holidays on the horizon, it’s also a thoughtful gift for anyone in your life who appreciates and practices mindfulness. Walden re-imagines the Japanese zafu: crafted with waterproof materials and organic buckwheat hull to provide back support, it’s also topped with memory foam for ultimate comfort and adapting to your size and shape. Available in black, gray, white, and patterned at https://www.walden.us. It also comes with a cushion, mat, and an elastic handle for taking it with you when you travel. Escape to Cloud Ten with the soft, highest-quality luxury of Cloud Ten sheets when you fall asleep. Cloud Ten sheets are small-batch crafted and made with breathable 100% Egyptian cotton, then hand-checked by European artisans. Each Cloud Ten employee lives in a developed country with minimum wages, extreme levels of safety certifications, and vacation days. Also, Cloud Ten’s distinctive sheet-making process utilizes a facility that only burns bio-gas (mainly steam and natural oil), using environmentally friendly dyes and highest-grade fabrics – yaaay!. Can you imagine a comfier way to sleep? Pick these sheets up as gifts for Holiday ’18 for anyone on your list who sleeps: available in Luna Percale and Amora Sateen. 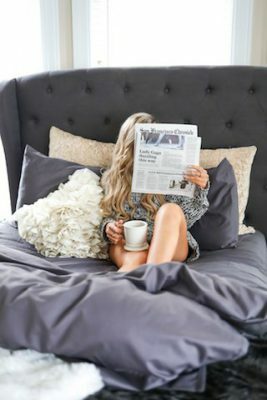 Read what the difference is and order yours at https://cloudten.us/blogs/news/luna-percale-vs-amora-sateen-whats-the-difference. 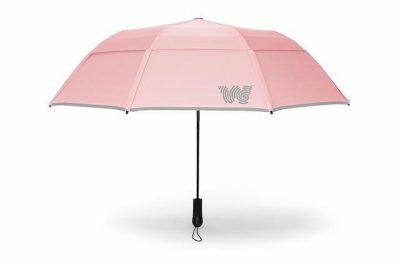 Every home needs an umbrella for rainy days, so why not support Breast Cancer Awareness this month by picking up Weatherman’s pink version? Weatherman will donate $5 from each purchase of the Pink Collapsible to Susan G. Komen Greater NYC for the entire month of October. Able to withstand winds up to 55mph, this is the perfect umbrella for standing up to torrential downpours and blustery days. It even has a Bluetooth tracker for safekeeping. Find it at https://www.weathermanumbrella.com. 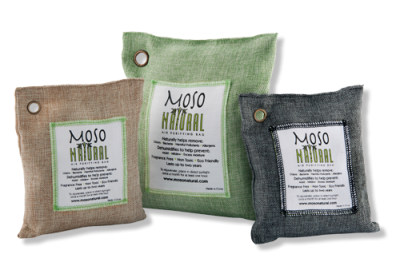 Naturally refresh cars, closets, bathrooms, pet areas, garages, gym bags, luggage, diaper areas, and drawers with Moso Natural Air Purifying Bags. These bamboo charcoal bags are brilliant solutions for odorous areas, and come is different sizes and shapes to suit your needs. The Moso bamboo charcoal maintains a fresh, odor-free, dry environment and continually works to remove smells, allergens, harmful pollutants and excess moisture. If you’re expecting guests this holiday season, Moso is a great investment. Pick them up at http://mosonatural.com.